Ovaj sadržaj je u pripremi. Molimo za strpljenje. A great piano can be the heart of a family home. But it's vital to choose a model that suits your lifestyle, budget, and aspirations. 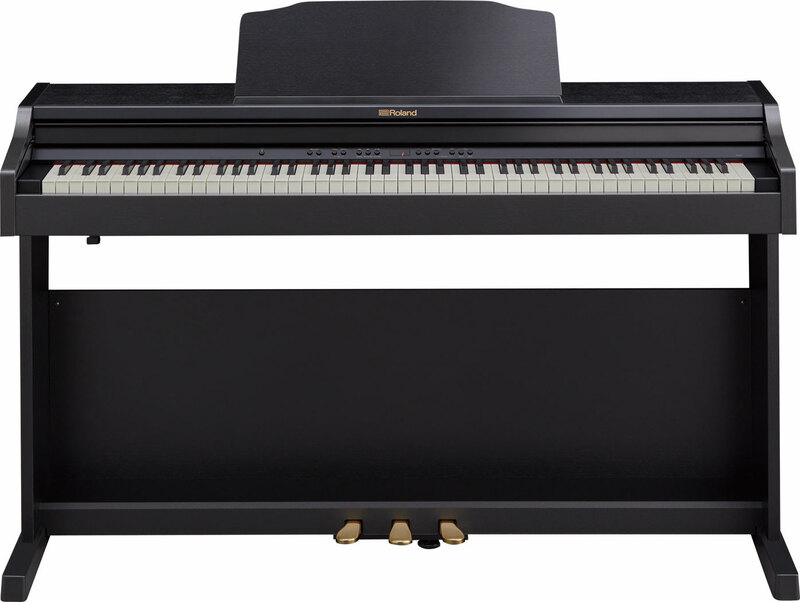 The new Roland RP501R is your ideal first piano-and yet it's ready to support you as you get more serious. 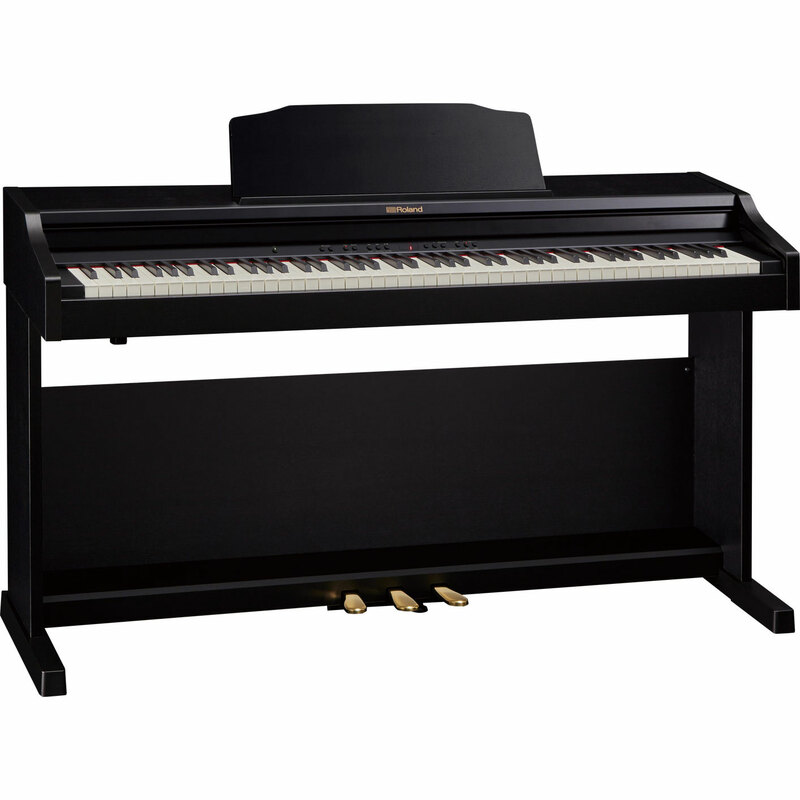 This digital piano offers a wealth of practice-friendly features to suit developing players, with onboard rhythm accompaniment and BluetoothR connectivity to iPad/Android piano apps. 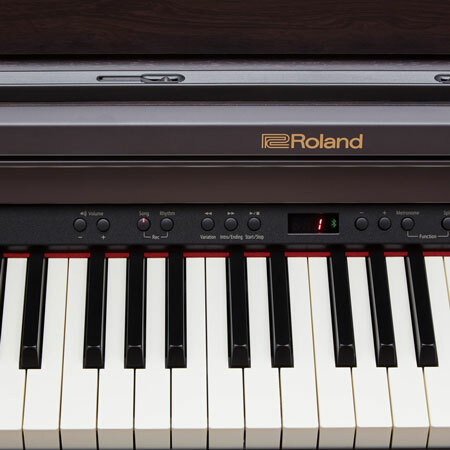 Better still, while other entry-level pianos are quickly outgrown, the Roland RP501R satisfies discerning players with its dynamic keyboard feel and authentic, responsive sounds. Combining premium features, a competitive price, and a compact-yet-robust cabinet, the Roland RP501R is ready to join your family. With onboard technology derived from our flagship digital pianos, the Roland RP501R will keep you inspired-whether you're just starting out or you're an experienced pianist. A sound engine powered by Roland's SuperNATURAL technology delivers the rich, expressive tone you'd expect from a premium acoustic grand piano, while a dynamic array of built-in speakers ensures the sound fills the room (even if the compact cabinet doesn't). 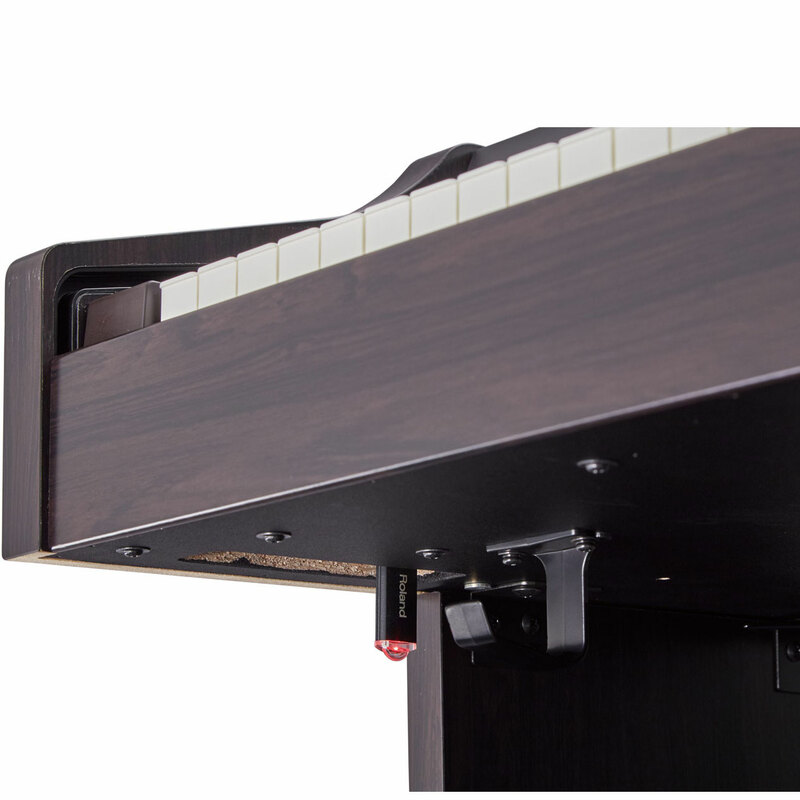 As your style develops, the Ivory Feel PHA-4 keyboard responds to the nuances of your touch, while the Progressive Damper Action pedal lets you perform traditional techniques with all the feel of an acoustic pianist. When your piano sounds this good, you'll want to play it all the time! Traditional pianos offer just one tone, which can be frustrating when you're still finding your voice. While the RP501R captures the authentic sound of a traditional acoustic piano, it also offers over 300 additional sounds to help you get creative. Practice sessions are even more appealing when you factor in the onboard Rhythm feature, which lets you play along with your choice of 72 ensemble backing styles (pop, jazz, Latin, etc.) as the band follow your changes. 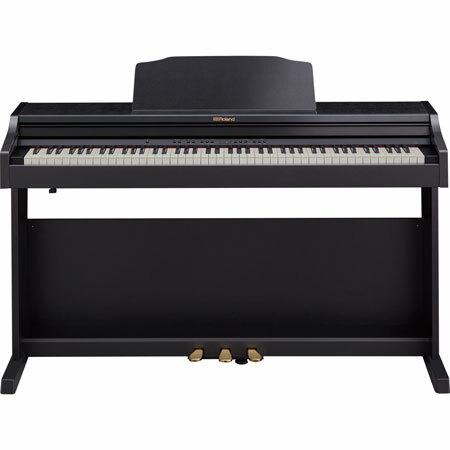 Plus, Bluetooth MIDI and USB connectivity to your tablet or smartphone gives access to a world of great piano apps such as Roland's Piano Partner 2, which displays internal songs as sheet music and gets your notation reading up to speed. Acoustic pianos can be heavy and costly to maintain, and if you want to play at night, you may be bothering other people close by. The Roland RP501R is the solution to all these problems. Weighing just 41 kg/90 lbs., it's easily shifted by two adults, while a space-saving cabinet depth of just 432 mm/17 in. won't swamp your home. The advanced digital sound engine will never need tuning either, saving you time and money. And if inspiration strikes at midnight, controllable volume and a headphones option will keep the neighbors happy as you lose yourself in the rich, immersive sound of the Headphones 3D Ambience effect. 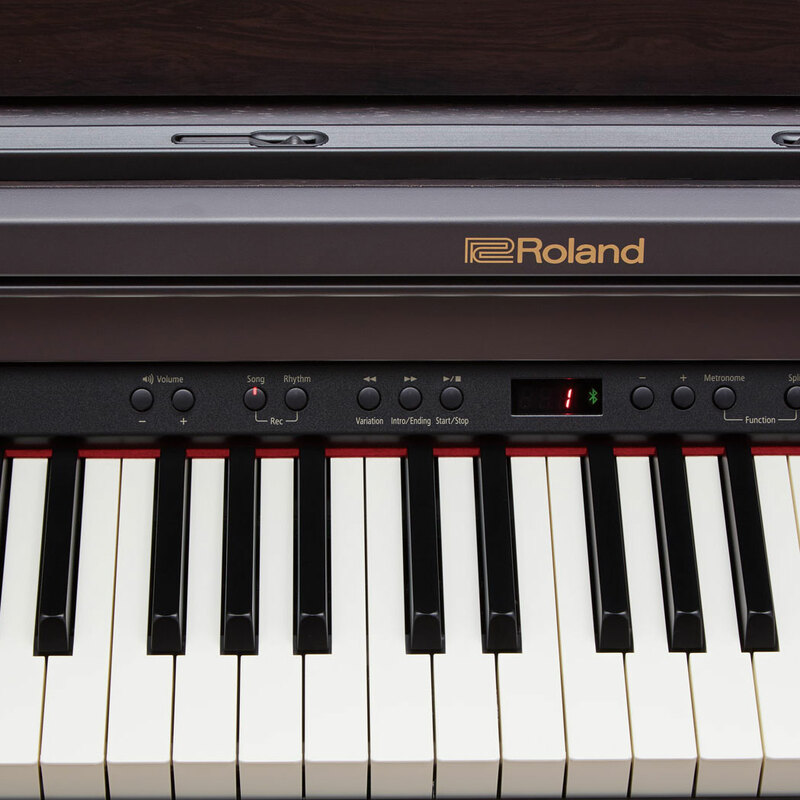 It can be hard to stay engaged when you're learning piano, but the Roland RP501R is full of additional features that make practice a pleasure. An onboard metronome improves your sense of timing before you assess your progress with the onboard recorder. Audio and MIDI playback (from USB memory) lets you jam along with your favorite songs as they play through the piano's speakers, while Twin Piano mode avoids the grind of solitary practice, allowing you to play in the same key range side-by-side with a duet partner or teacher. If there's a song you want to learn, download it to your tablet from Sheet Music Direct, or install the piaScore app for free access to 70,000+ classical music scores. By pressing the piano's pedal, you can even turn the pages of the score on your tablet's screen. *1 Use USB Flash Memory sold by Roland. We cannot guarantee operation if other products are used.